Oil is fundamentally linked to economies in both the developed and emerging markets and is an indicator of economic health, as well as an influencer of it. With large price fluctuations sometimes occurring on a daily basis, an investment in the oil market can be very confusing, even for seasoned investors. The price changes are a result of certain influences in the market, which include the obvious: supply, demand and quantity. One of the major challenges facing the oil market is the lack of high-quality "sweet" crude. This is the type of oil that many refineries need to meet stringent environmental requirements, particularly in the United States. According to the U.S. Department of Energy, much of the high-quality oil imported into the United States comes from Nigeria and surrounding African nations. In fact, Nigeria and Angola have exported more oil to the United States than Saudi Arabia. 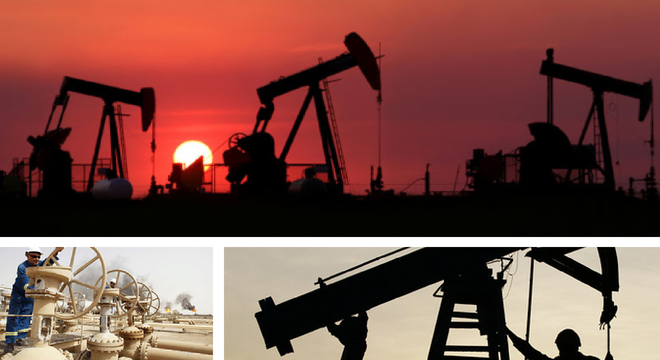 Regardless of the many reasons for changes in oil prices, investors who want direct exposure to the oil industry can do so through an Exchange-Traded Fund (ETF). ETFs are a simple way to introduce an investment that delivers returns based on the price and performance of oil, without actually owning any oil itself. Generally speaking, oil ETFs consist of either oil company stocks or futures and derivative contracts in order to track the price of oil, or in some cases oil-related indexes. Performing in much the same manner that leading alternative investment strategies do, investors can also use oil ETFs to hedge to downside risk for both industry-related and foreign investments. When it comes to investing in global investments, oil makes my list of the most appealing investment options on the planet. It is fundamentally linked to the economies of both the developed and emerging markets of the world and acts as an indicator of economic health, as well as a strong influencer of it. In much the same way an investment in global trade profits from economic prosperity, an investment in the oil industry is heavily dependent upon economic growth to drive revenues. Simply put, the price of oil is intrinsically linked to the basic economics of supply and demand. Historically, oil has enjoyed a low correlation with equities, meaning oil and oil related investments in a portfolio can provide much-needed diversification, as well as a hedge against investment risks like inflation.